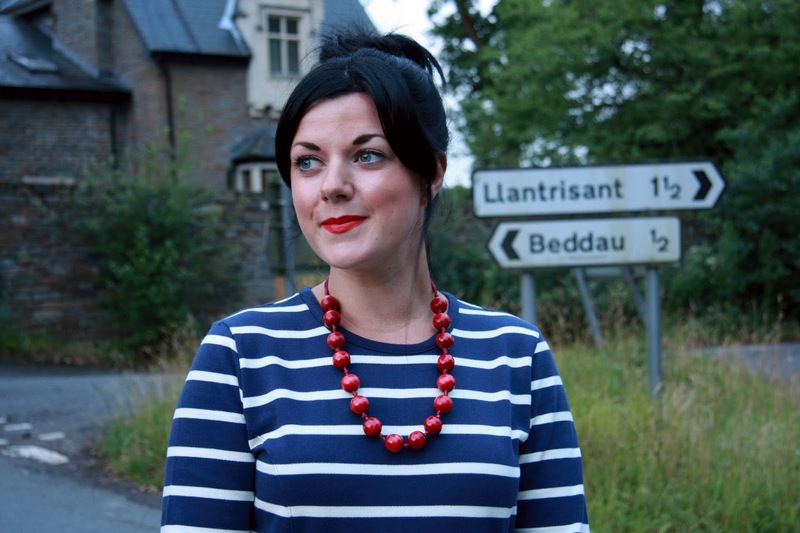 Hey folks, look at me back finally with an outfit post, yippee! I had photographer hubs warned that today i must get photos and through hell and high water (torrential rain, tut!!) we did! 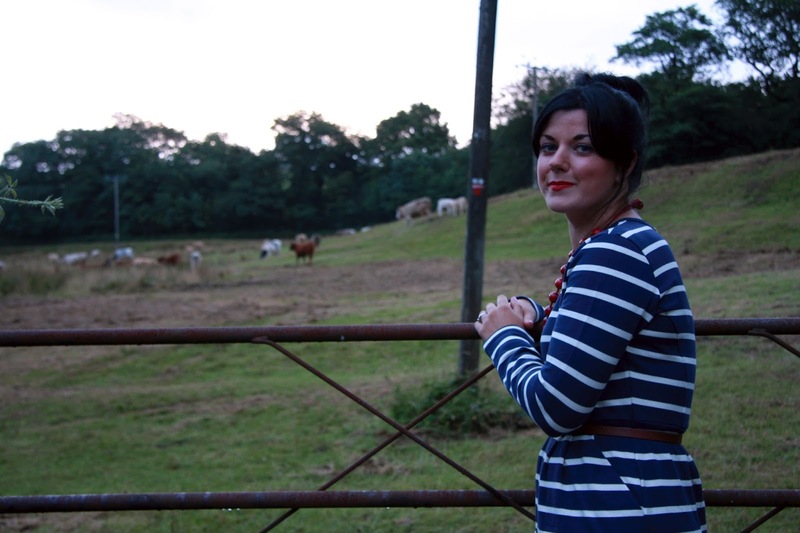 I’ve had the pleasure of working with Country Clothing Direct over the past couple of weeks. The folks there are just lovely and they let me pick something from the new A/W ranges, they stock Joules, Hunter, Toggi (and North Face coming soon). 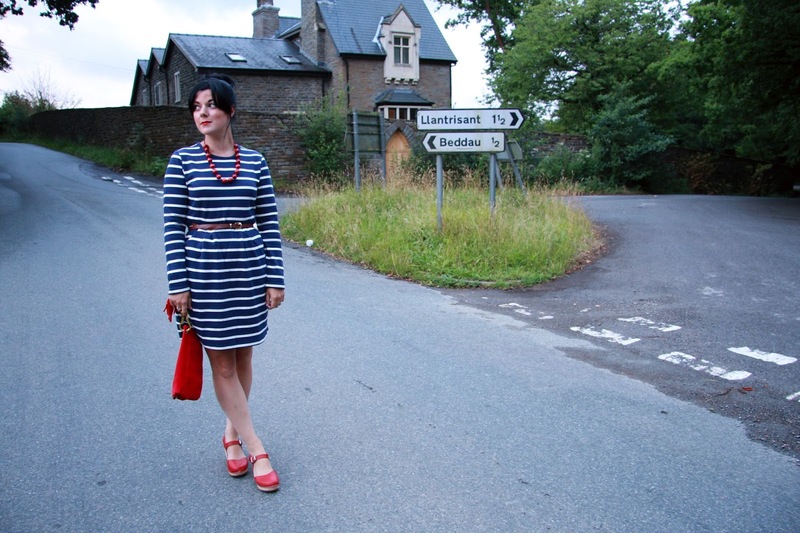 You guys know me by now, i go weak at the knees for a bit of Joules as i just find their products so wonderfully comfy and versatile, and this dress is exactly that!! The dress is actually like a sweatshirt material, which just makes it soooooooo comfy. I can totally see me living in this through winter with leggings and some lovely tan knee high riding style boots, or even wellies for those long wet cold days! I’ve been waiting for a bit of cooler weather to wear it, and today was perfect, plus we went to the cinema with super high air con and this dress was perfect. I thought i’d dress it up a bit in my favourite colours, red, white and blue, and stripes in particular are definitely a go to for me. Smart casual at its best i reckon! Have you seen the new a/w range for Joules yet? I’m desperate for a pair of their funky wellies for when i’m up the allotment! Still so much digging to do! Well another weekend over? Have you had a good one? Bag & Necklace: super old! This is such a great, classic looking outfit. Lovely dress! Love your new dress – you chose a beauty and styled it to be 100% you. Thanks for sharing with Visible Monday, Rachel! You look fabulous in that dress! I love it when they have pockets…. Love the dress! It's so versatile and cute. Love the pockets and the cute zipper detail in the back. I'm always a sucker for stripes too! Stopping by from wwiw linkup! Looks fantastic!! The pop of red really does it for me. Looking wonderful, Rachel! Love how you styled the dress with pops of red! Anything made of sweatshirt material rocks! 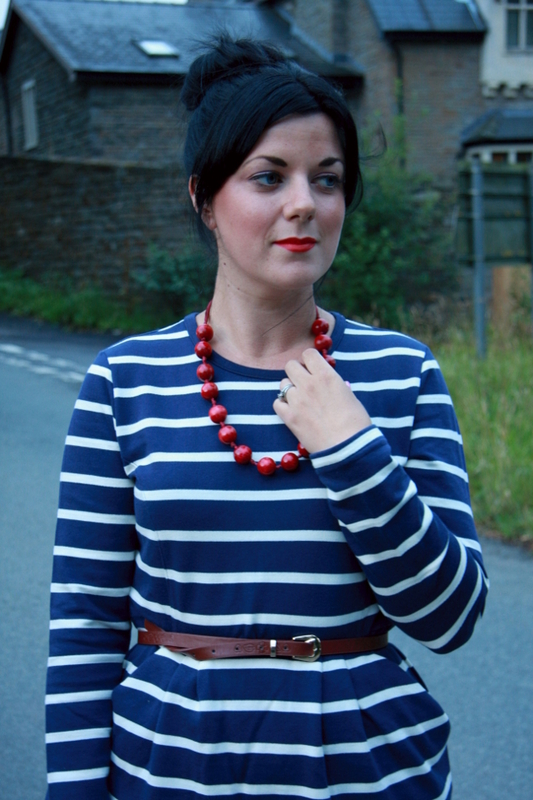 Stripes and a red necklace are a great classic pairing. such a cute dress and love the back zipper! 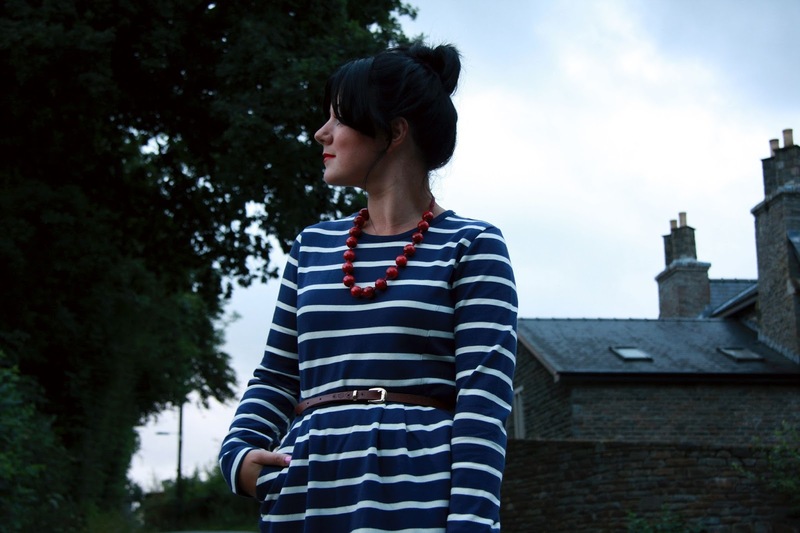 Great striped dress. It looks wonderful on you. Rachel, you look AMAZING in these colors! Red works so well with your skin tone and eyes, just beautiful! 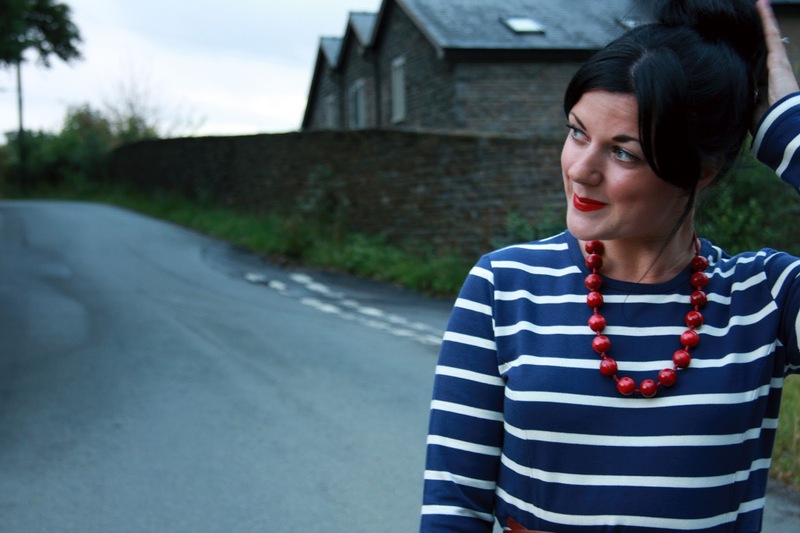 Love the navy and white stripes with red accents! You look darling. Ah I adore this dress, and how wonderful that it's a sweatshirt material, so cozy! Oh! I love the zipper detail on that cute dress! Yay, for outfit posts + pretty striped outfits like this!! You look gorgeous! I too fell off the outfit bandwagon these past two-ish weeks, but then again, kind of nice to take a break sometimes too! And mmmm, for cheesy nachos. Oh man, I'm always cheating on my diet, story of my life. Hehe! The casual dress is so simple! its the perfect type for me, and the zipper at the back it makes it easy to wear.